He walked out of the classroom, leaving me among his weird sculptures and artifacts. None of it made sense. Dr. Z had always been careful. I couldn’t imagine he would invite someone he didn’t trust into his precious laboratory. Something about Cyrus felt off, but he didn’t seem dangerous or untrustworthy. If the professor had been considering Cyrus as just a third team member, he would have mentioned it before today. The only explanation for my exclusion from this news was that he was planning to replace me. What’s more, hastily inviting a new student into his lab wasn’t just uncharacteristic; it was troubling. In case you live under a rock and haven't been to our blog before and read any reviews previously, I love paranormal/sci-fi fiction books. 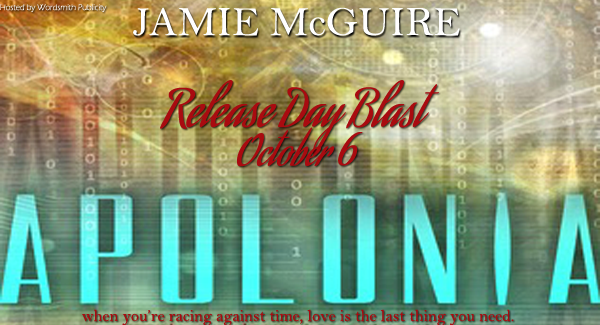 So when I heard that Jamie McGuire had a new science fiction book releasing I was so excited! I have read all of her previous books and absolutely loved the Providence series. It was amazing! The synopsis of Apolonia sucked me in immediately and when I received an invite for the blog tour I was so excited! Apolonia begins with Rory Riordian as the main female character. To say she has issues is an understatement. I loved her character overall. She is a total out of the box person. She has created this tough exterior to keep everyone out of her life to avoid getting hurt. But can't seem to see that as a problem. Benji is a swoon worthy male lead character as well. I feel so bad for him at times following her around like a little lost puppy, but something was off about him as well. I can't say that he is perfect, but thats what makes it interesting. The other male lead is Cyrus, an exchange student from Egypt. He is mysterious and Rory is drawn to him for some unexplainable reason. I am not gonna lie, I really loved his personality. He kept me interested when some other things didn't. I don't want to reveal a lot about the books plot, because that is part of the fun of reading a great story. Suffice it to say if you love anything different and paranormal this book will probably be right up your alley. I did have a couple of issues with the story that I would change/tweak. For one, I felt like the details bogged down the story somewhat. I know it is necessary, especially describing new things to readers that are invented by the author, but I got a little lost in the details at times. I also felt like the beginning was a little confusing, but I did quickly figure out what was happening. I also was a little disappointed in the ending. I thought it was a little abrupt and could have had an epilogue leading to a sequel or to give more closure on some things. Overall though, it was a great book that kept my attention and kept me on my toes. I have no doubt that it will be a huge success and I could for sure see this book as a movie in my mind. I think it would be portrayed really well. Hopefully there will be a sequel that will give me some more insight into the story and the future for the characters. 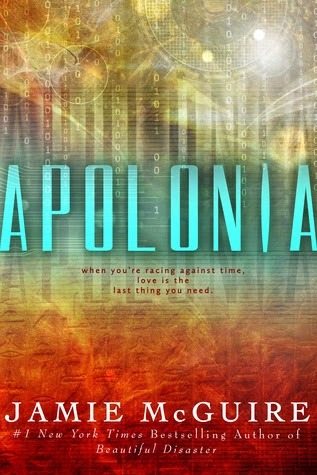 As for Apolonia, I kept wondering why that title, and when it hits, I was like Whoa, What? 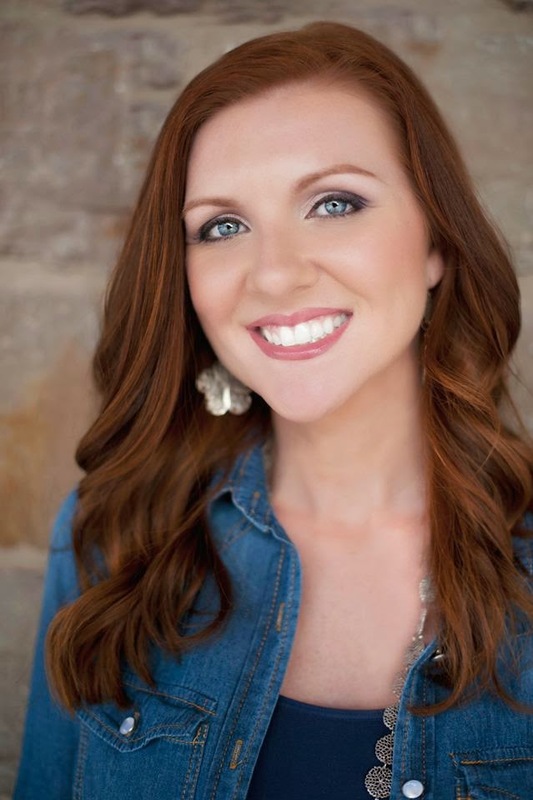 Kudos to Jamie McGuire for going outside of her comfort zone and following her heart on this book Job well done!